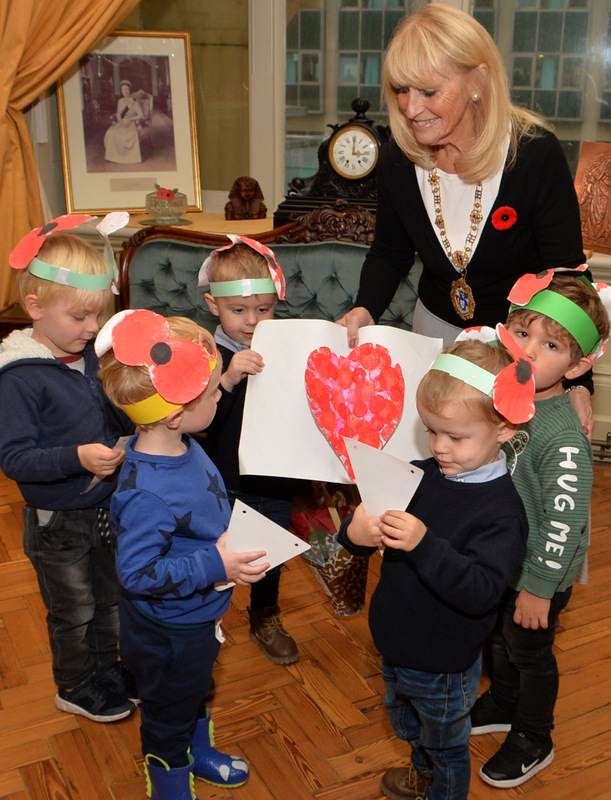 At this time of the year, Remembrance events and ceremonies draw our thoughts to the sacrifices of our armed forces in conflicts and peace-keeping. 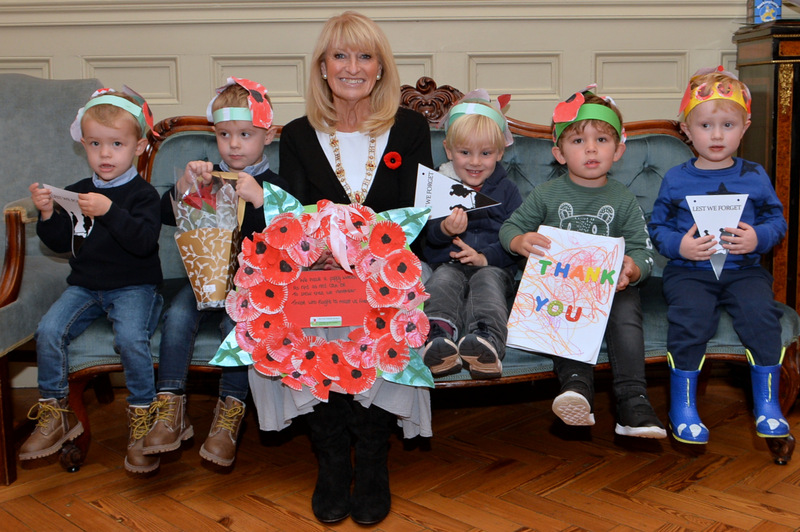 We are also reminded that it is important to educate our young people so that they do not forget how many people gave their lives, fighting for a better future. 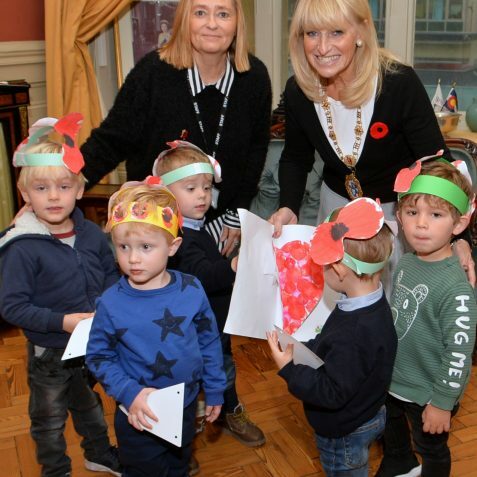 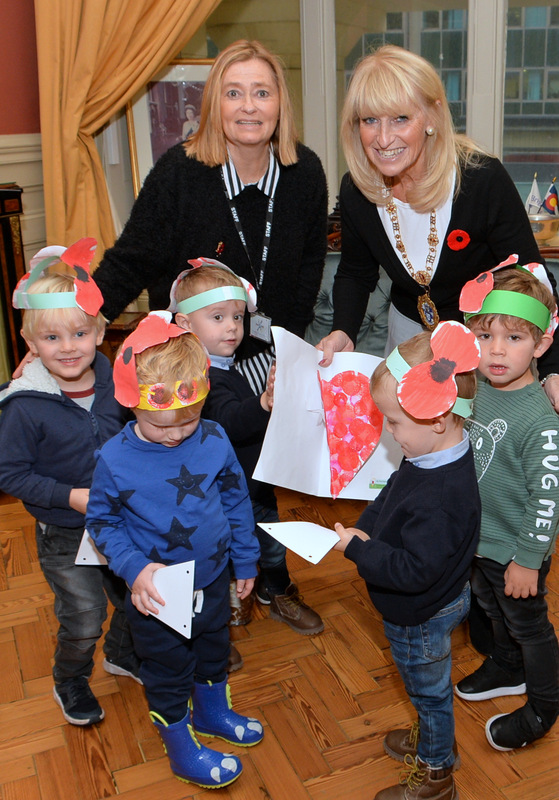 To this end, at a Westdene nursery, the children and their teachers have been engaged in their own special project for the Remembrance season. 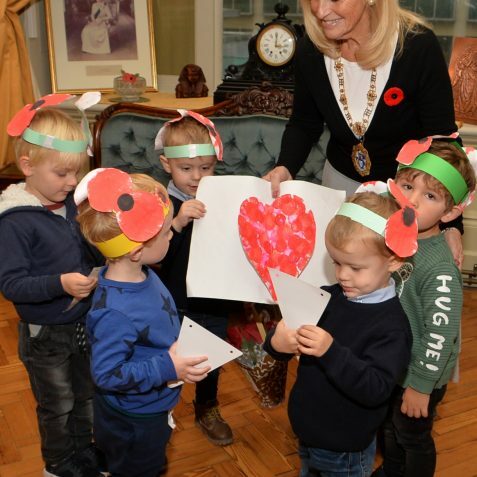 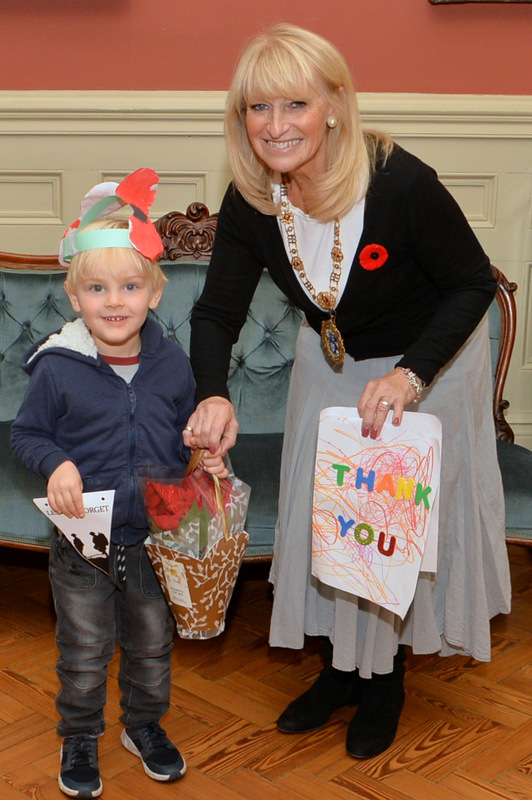 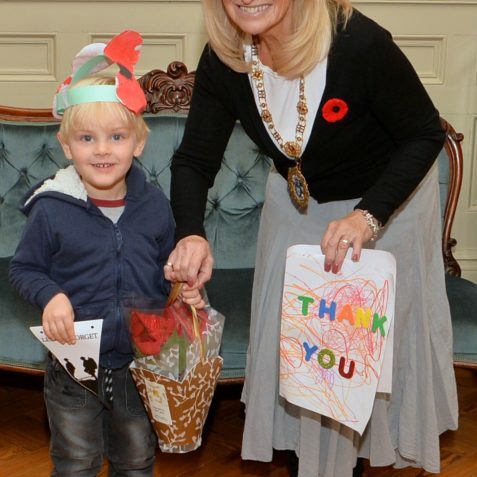 They visited the Mayor, Councillor Dee Simson, in the Mayor’s Parlour, to show her the results of their work. 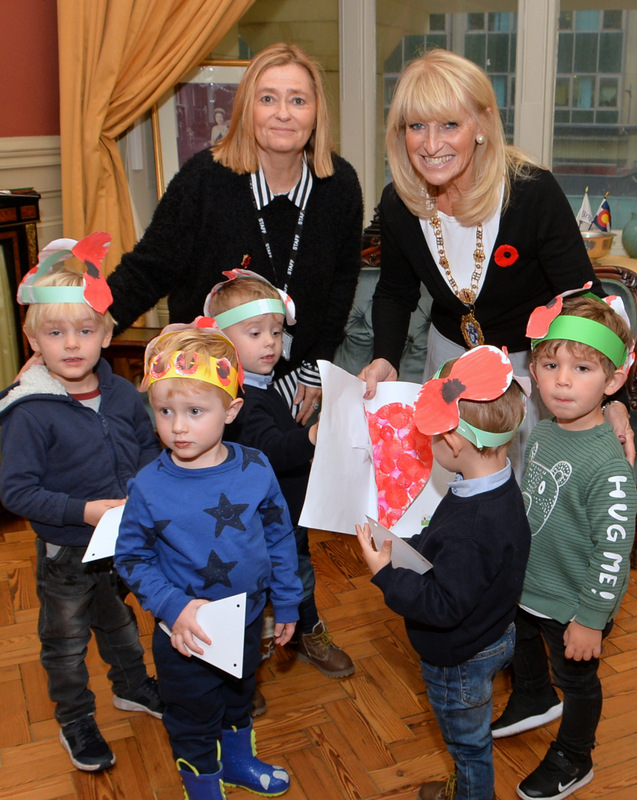 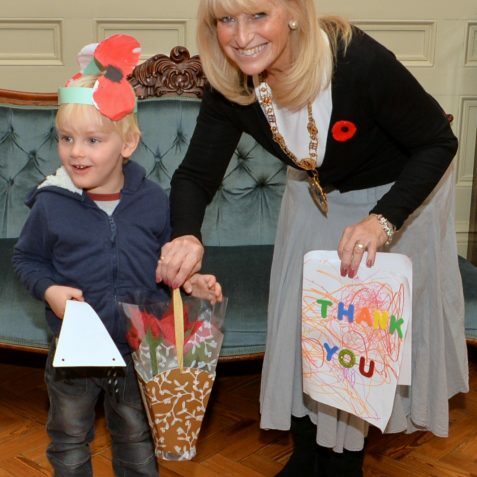 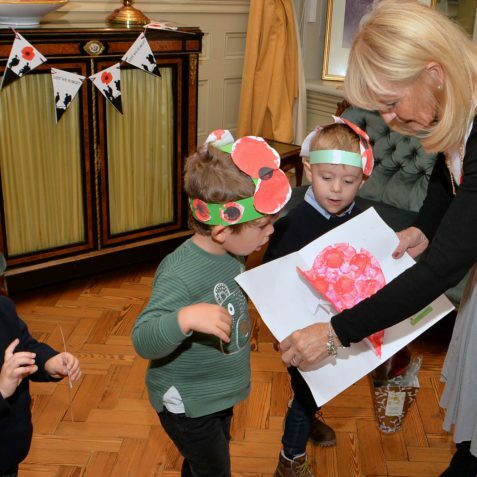 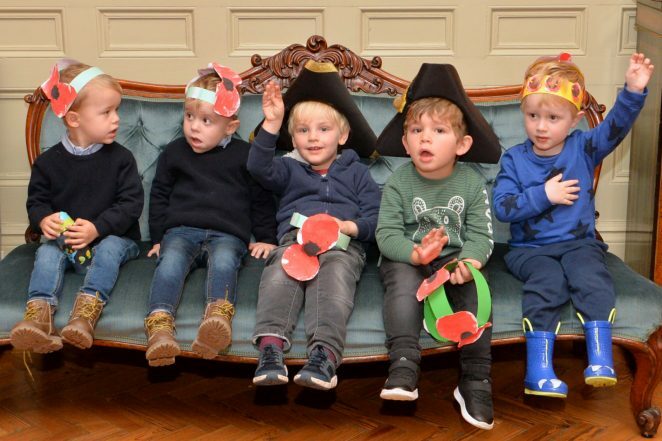 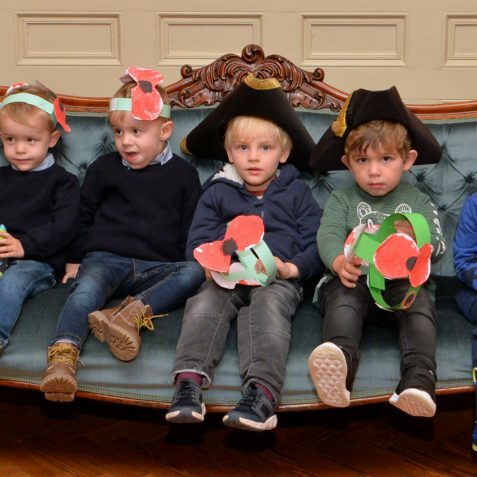 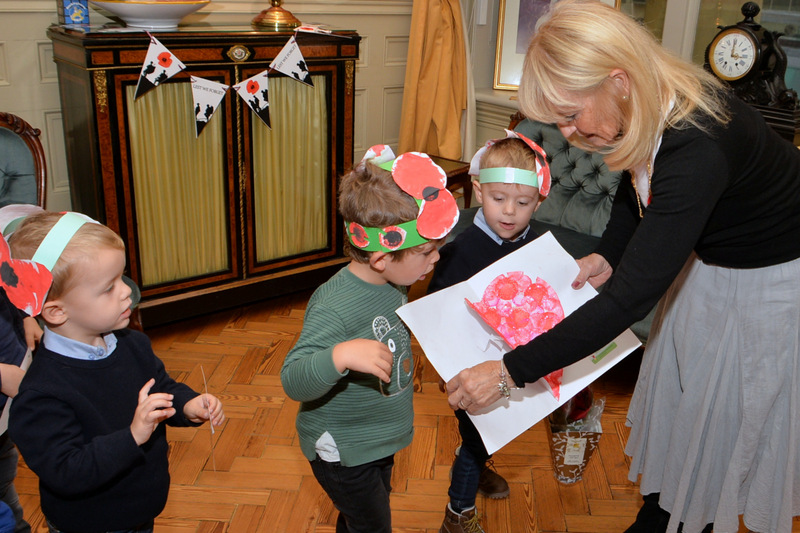 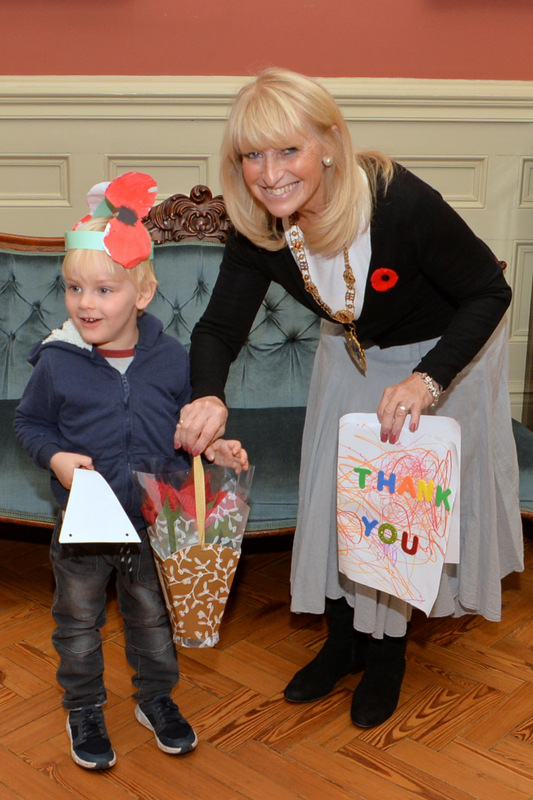 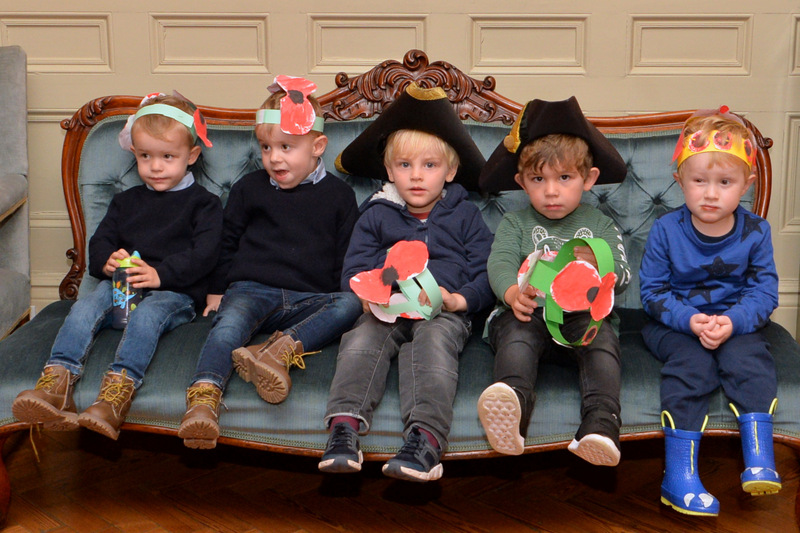 As you can see here, the children designed and made some wonderful poppy headgear. 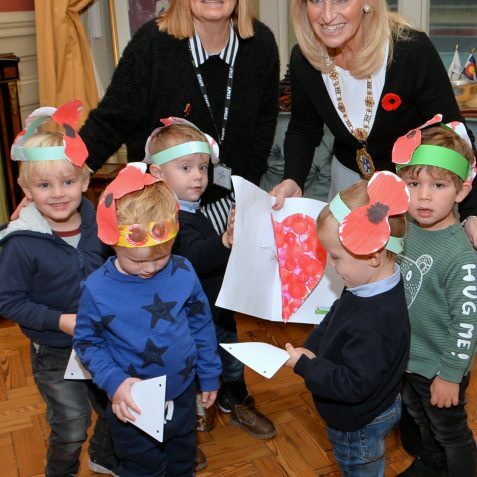 They also made a large number of poppies which they used to construct their own special Remembrance Day wreath. 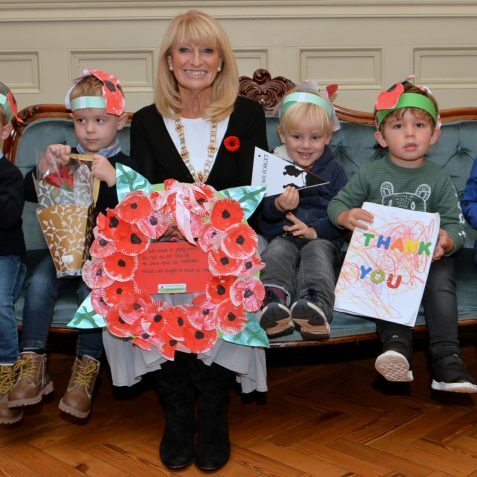 Projects like this will prevent the events and people who were involved in conflicts, slipping from living history, and help new generations of young people to keep the tradition of remembrance alive.